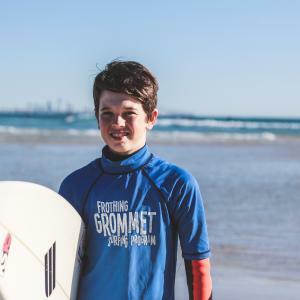 The Frothing Grommet 8 Week Surfing Program. Educational, fun and challenging! 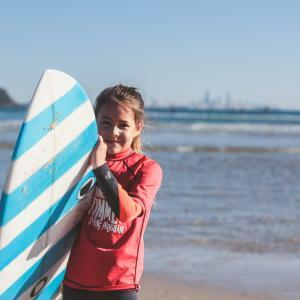 The Frothing Grommet 8 Week Surfing Program is designed for all kids aged between 5 – 14 years old and is comprised of 5 levels of competency. Each level consists of a minimum of 1 session per week over an 8 week period. There are 4 x 8 week blocks throughout the year falling in line with each school term. 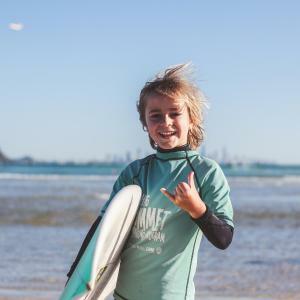 Kids in the program work from a surfing logbook which has a series of take home questions regarding each weeks lesson as well as certain challenges each child must accomplish before moving to the next level. Please refer to the level descriptions below for more information regarding what level your child is at. In this level participants will learn how to identify a safe surfing location, how to spot rips/currents, surf safety techniques as well as how to catch and ride small whitewater waves using correct technique, how to paddle correctly and how to dismount the board safely. 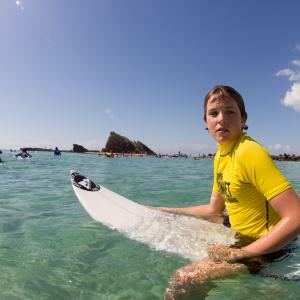 In this level participants will learn how to paddle out the back through oncoming waves, how to position themselves in the line-up, how to ‘take the drop’ on unbroken waves out the back and how to perform a board rescue. 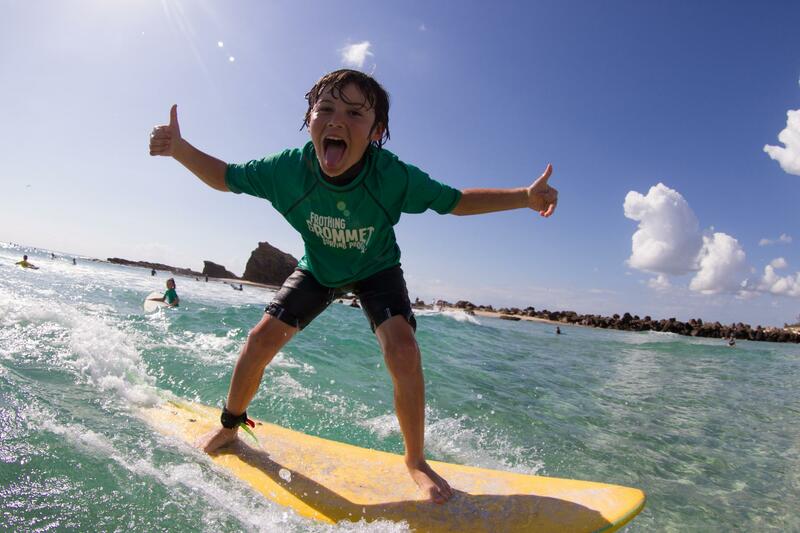 In this level participants will learn how to catch waves unaided, link surfing manouevres and surfing competition rules and strategy. This level focuses on improving surfing technique in order to surf your best as well as surfing specific fitness and training. In this level participants will learn how to ride small, unbroken waves while turning both directions across the wave face. 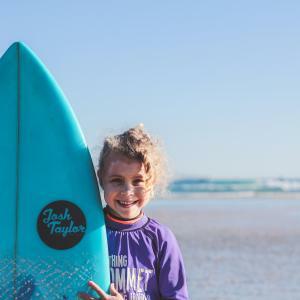 Kids will also be taught how catch waves unaided, how to perform an ‘eskimo roll’ as well as how to recognize if someone is in danger in the water. In this level participants will learn how to paddle out the back, take the drop unaided and perform basic surfing manouevres. 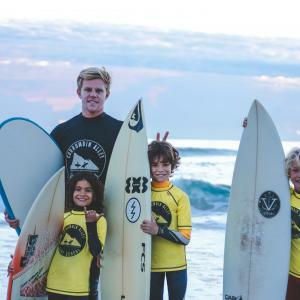 They will also learn how to aid an injured surfer and basic CPR techniques.